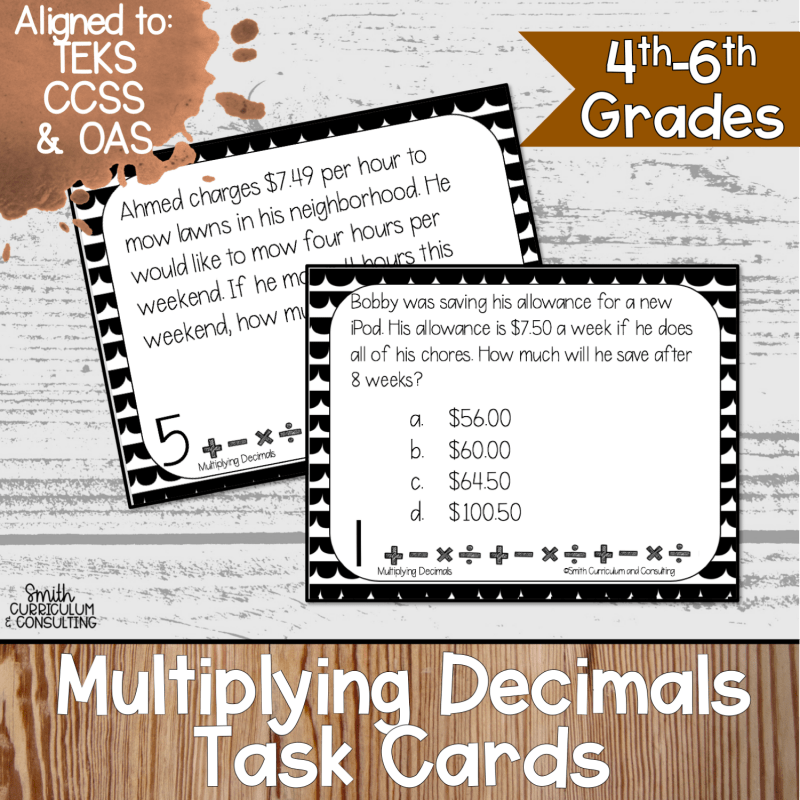 With the Multiplying Decimals Task Cards students work to multiply decimals within real world problems and also allows for great test prep. 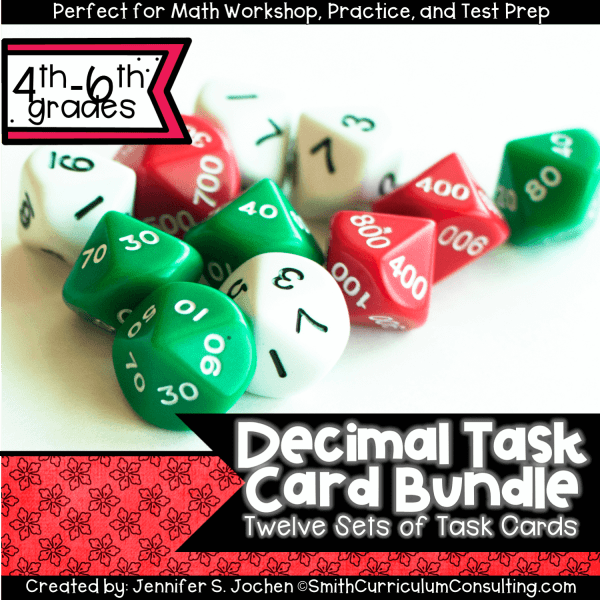 Boosting your student’s understanding of multiplying decimals can be easy when students practice this important skill with this set of sixteen task cards. Each of these cards is written in the format of a real life problem, as well as models that they can use to help them solve through the problem. 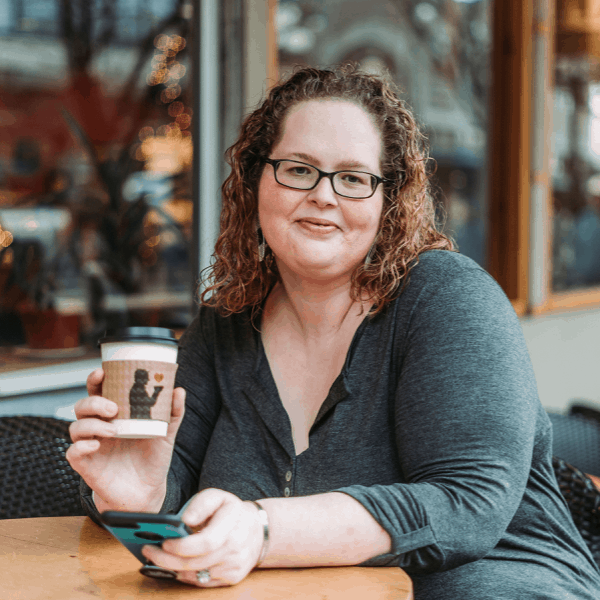 The mixed formats, including multiple choice and open ended, make for the ideal test prep activity! 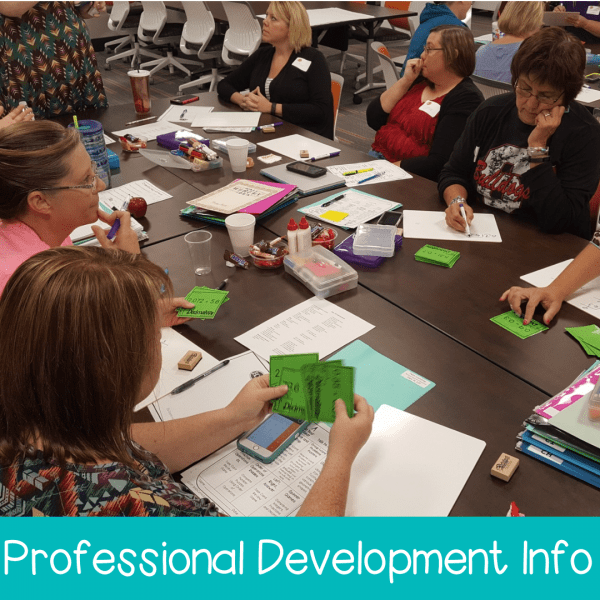 All activities are aligned to 4th, 5th and 6th Grade Common Core (CCSS), 5th Grade Texas Essential Knowledge and Skills (TEKS) and 6th Grade Oklahoma Academic Standards (OAS) and meant to be able to be used in any 4th, 5th or 6th grade classroom.